Cornwall Ontario – The Cornwall Innovation Centre has opened its doors to considerable fanfare, offering tech oriented entrepreneurs an opportunity to turn their ideas into business success. The Cornwall Innovation Centre is located at the world-class NAV CENTRE, occupying modern office space as well as offering an innovation ecosystem designed to ignite new ventures and high-growth potential businesses. A wide range of incubator and accelerator activities and services— including business coaching, keynote speaker presentations, shared workspaces and private offices—are available at the centre. These include a Makerspace with the latest technologies for design and prototyping. Tony Bailetti, Executive Director of Carleton University’s Lead to Win Program and enthusiastic CIC partner, spoke of the big potential of the centre. Attending the opening was Cornwall Mayor Leslie O’Shaughnessy, Akwesasne Grand Chief Abram Benedict and SDG Warden Jim Bancroft, as well as representatives from Cornwall’s business community, Carleton University, the NAV Centre, the CFDC, St. Lawrence College, the River Institute and Launch Lab. 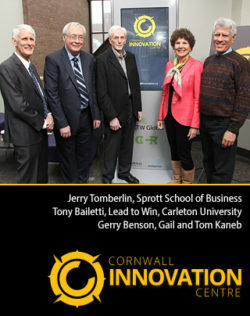 The Cornwall Innovation Centre also launcehd a new website at cornwallinnovation.ca, and unveiled its new logo. 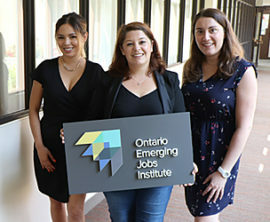 The CIC’s anchor program is based on Carleton University’s Lead to Win program, named one of the Top 10 accelerator programs in North America. Through this unique offering, participants will be guided to grow their businesses into generating $1 million in revenue in their third year of operation. They will benefit from access to high-level mentorship, capacity development events, early buyer support, funding, IT support, workspaces and on-site wellness amenities. The CIC is currently working to attract candidates for their first Venture Demo Day on April 19, 2017. Eligible entrepreneurs will have their first opportunity to pitch their ideas to a panel with the goal of gaining entry into the Lead to Win program. 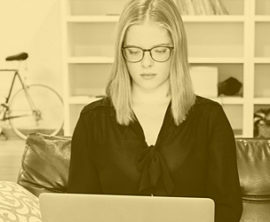 Successful applicants who are accepted into the accelerator program will receive high-level assistance including mentoring, shared workspaces, access to wellness amenities. On April 26, 2017, the CIC will launch its InnoTalk Series. The first of the free lectures will feature Ewen Reid, founder of Mission Control Space Services and a participant in Carleton’s Lead to Win program. Reid will explore themes of entrepreneurship and innovation, and how to capitalize on opportunities.